Scott as a young man. 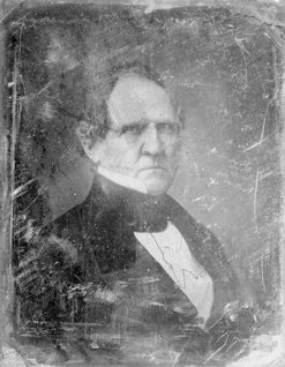 Before Winfield Scott began his work on transcribing Napoleonic manuals for US Army use, he served as chairman of a board charged with condensing or “abstracting” the tactics manual then in use, for the edification of the militia. This resulted in the “Abstract of Infantry Tactics”. This manual gives an excellent précis of the tactics as they would likely have been used in the War of 1812. It contains many illuminating references not to be found in other manuals. Note that this is not an abstract of Scott’s three volume Infantry Tactics, but a version of the drill tactics which preceded Scott’s great work. ACW references to “Scott’s” are never to the Abstract, but to the Infantry Tactics. Still, the many references to matters which are explained no where else make this a most valuable reference. The transcription is now complete! Preface, Table of Contents, and Formation of the Regiment. A comprehensive site navigation tool can be found here. It will be active when this link is active. Check back soon!